TIME: Doors open at 8:00 am and meetings start at 8:30 am at Richvale, Colusa, and Woodland. Doors open at 1:00 pm and meetings start at 1:30 pm at Glenn and Marysville. As many of you are aware, many of our grass species in California rice are resistant to multiple herbicides. 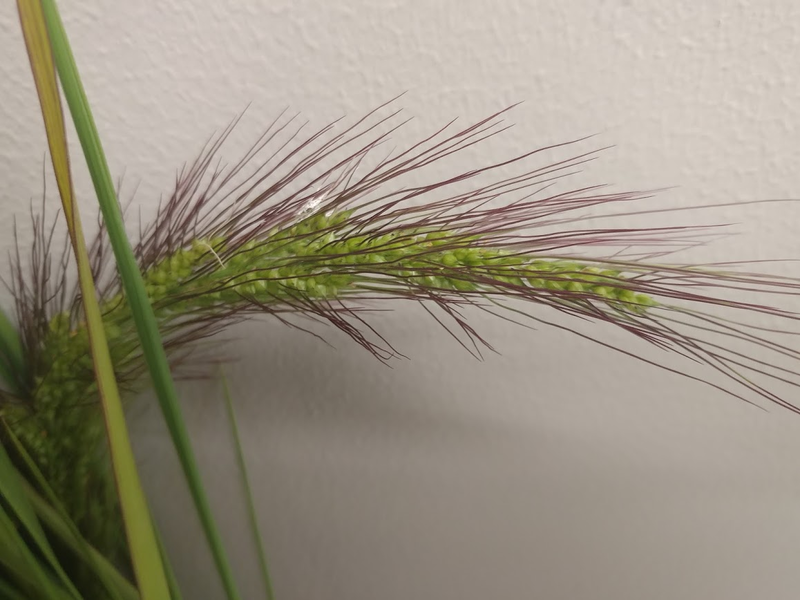 Late watergrass aka "mimic" (Echinochloa phyllopogon), early watergrass (E. oryzoides) and barnyardgrass (E. crus-galli) are among some of our most competitive weed species, causing large yield reductions when uncontrolled. One of the last remaining chemicals that our grass species are not yet resistant to is pendimethalin. Commercial formulations for pendimethalin registered for California rice are Prowl H2O and Harbinger. Prowl H2O is a delayed pre-emergent herbicide applied onto dry, drill-seeded fields. Harbinger is also a delayed pre-emergent herbicide, but the Harbinger system can be used in fields that are seeded by air. Both are viable uses of the chemical, and which one you choose will depend on your available equipment. For more information on how to apply, refer to the product labels. Although I have used Prowl H2O in field trials and have a pretty good idea of its efficacy, I was curious to see how Harbinger looked in the field, since I have not yet had the opportunity to use it in a trial. 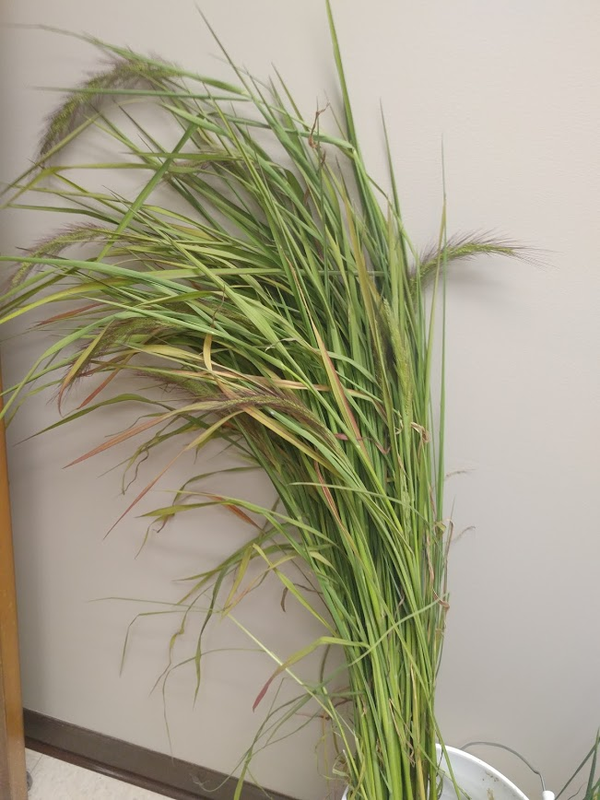 I recently visited Rice Researchers, Inc., a rice breeding facility in Glenn County, where they are using a Harbinger-based program, for the second season. 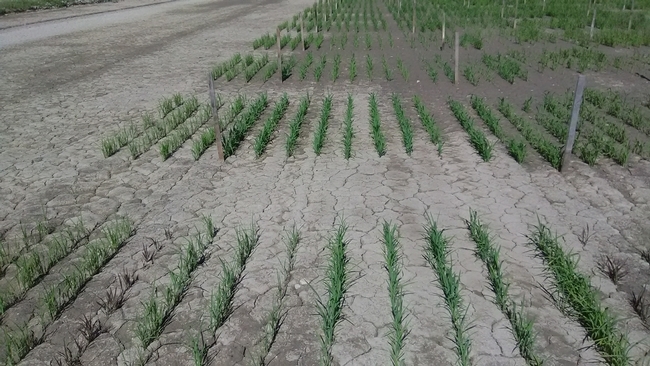 The photo (below) shows the rice at about 30 days after seeding. No weed species were present in the field. This is after one delayed pre-emergent Harbinger application. It is too late to utilize pendimethalin this season, but for help incorporating pendimethalin into your herbicide plan for 2018, talk to your PCA, or give one of the UCCE Rice Advisors a call. 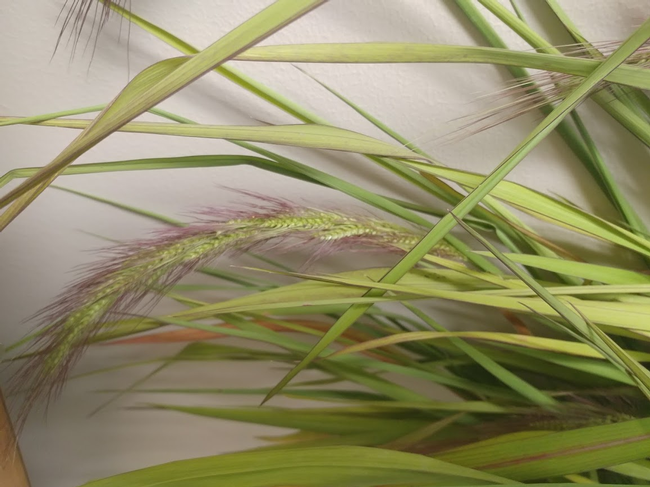 Especially for growers that have herbicide resistant grasses, it can be a valuable tool in reducing grass populations.